Based on actual events, the story of two children into different time periods, facing life-threatening struggles in the country of Sudan. My Two Cents: ⭐️⭐️⭐️⭐️⭐️ Each chapter in this book intertwines the stories of two children trying to survive in circumstances that the average American child can barely imagine. Nya’s twice daily trek to fetch drinking water for her family seems like such an antiquated prospect to us, and yet this event is a reality for many children today. Salva’s story begins with the bombing of his school by Sudanese rebels and his subsequent escape from his village. 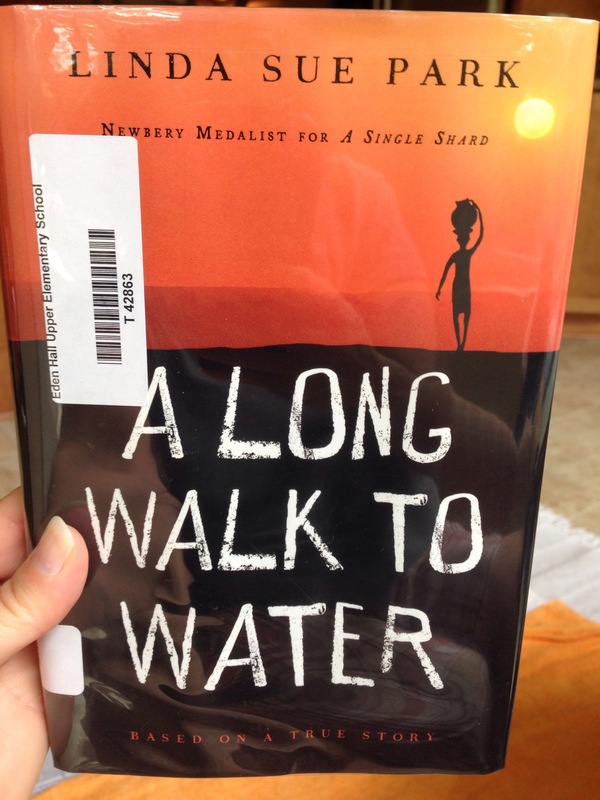 Separated from his family he will travel on foot for hundreds of miles over several years through the deserts of southern Sudan, then Ethiopia, on to Kenya and finally to the U.S.
A Long Walk to Water is an inspirational story of struggle, survival, and giving back. (I’m thinking One Book, One School!) It is also a story that begs us to get involved, take action, and make a difference in our world. Salva Dut founded the non-profit orgaization Water for South Sudan to help the people of South Sudan drill for clean drinking water in their villages. On this website you can find more information about A Long Walk for Water and other resources related to the book. Water for South Sudan from Water for South Sudan on Vimeo. Hoping for Peace in Sudan : Divided by Conflict, Wishing for Peace by Jim Pipe. Brothers in Hope: The Story of the Lost Boys of Sudan by Mary Williams. So what’s that one summer resolution? How do you keep it?